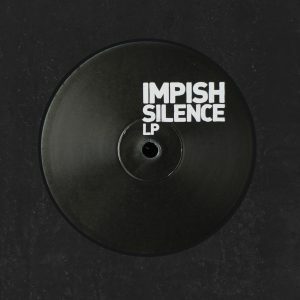 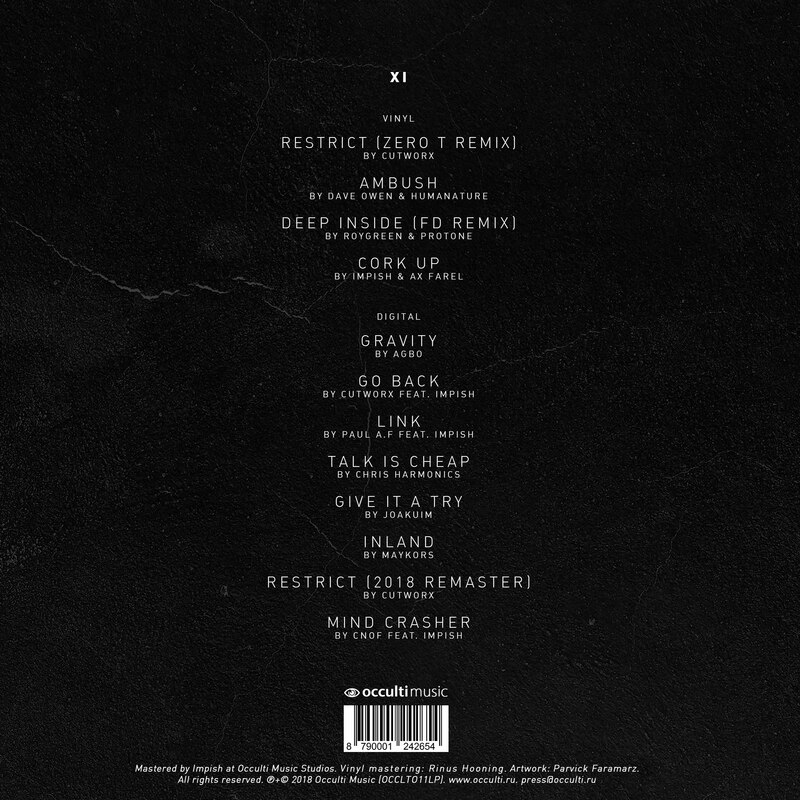 Heavyweight vinyl (including download card: full 12 track album WAV / MP3.) 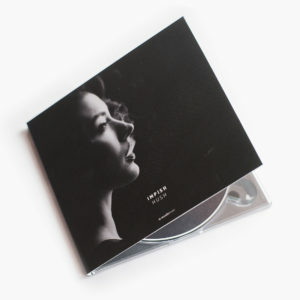 Also available on CD (Limited edition) separately from vinyl. 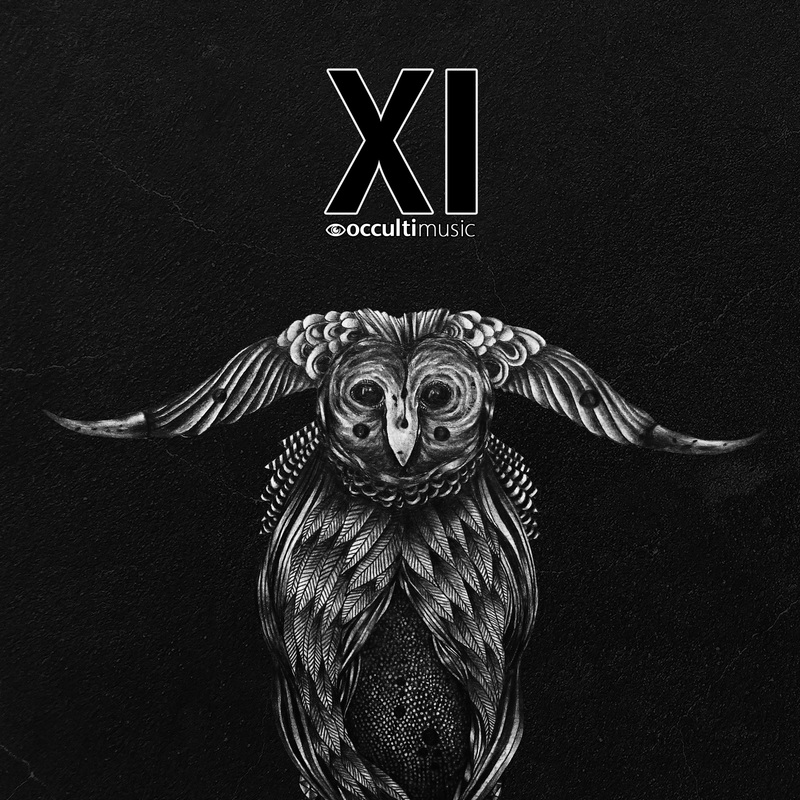 Impish presents: Occulti Music XI Album. 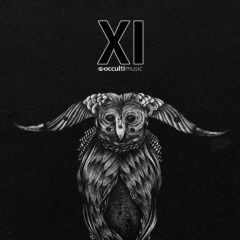 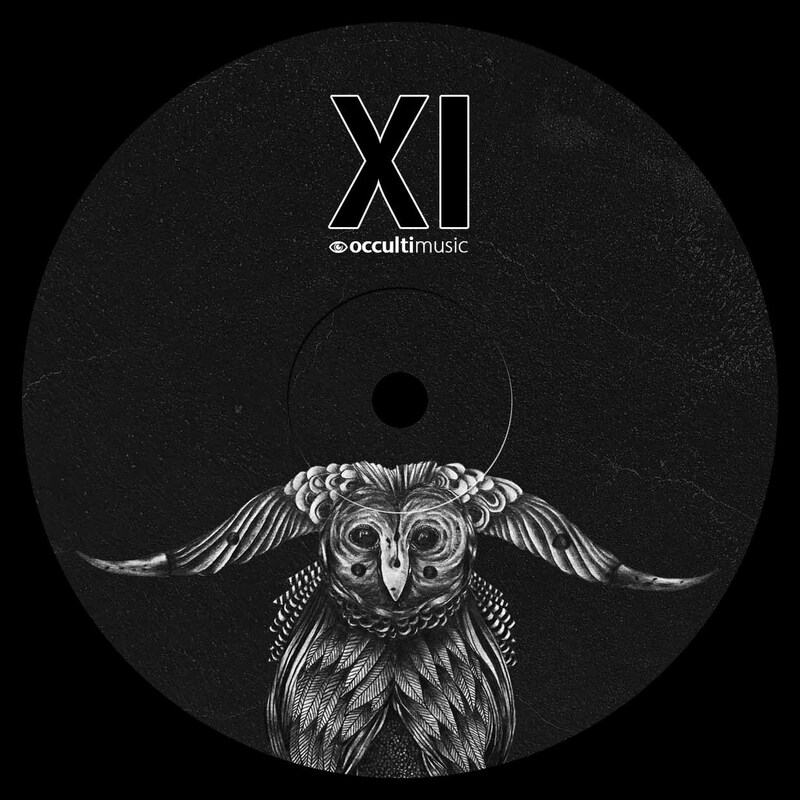 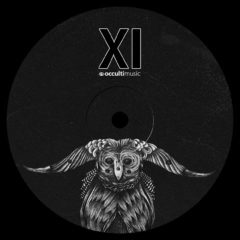 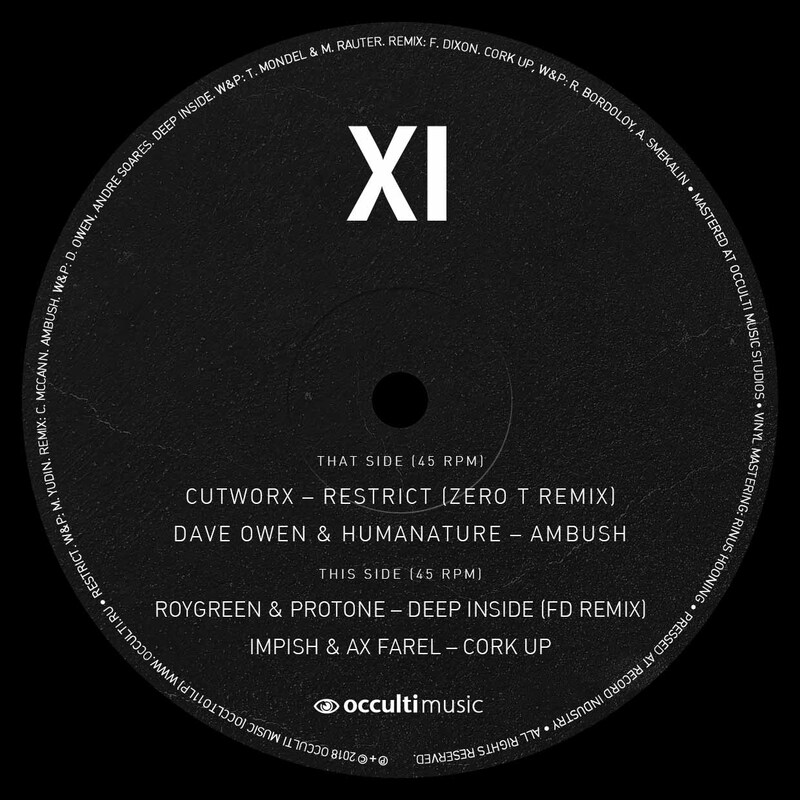 Occulti Music returns with an anniversary album compiled by head honcho Impish that features 12 tracks by label friends Zero T, FD, Dave Owen, RoyGreen & Protone, Chris Harmonics, Joakuim, Cnof, Agbo, Cutworx, HumaNature, Maykors, Paul A.F, Ax Farel. 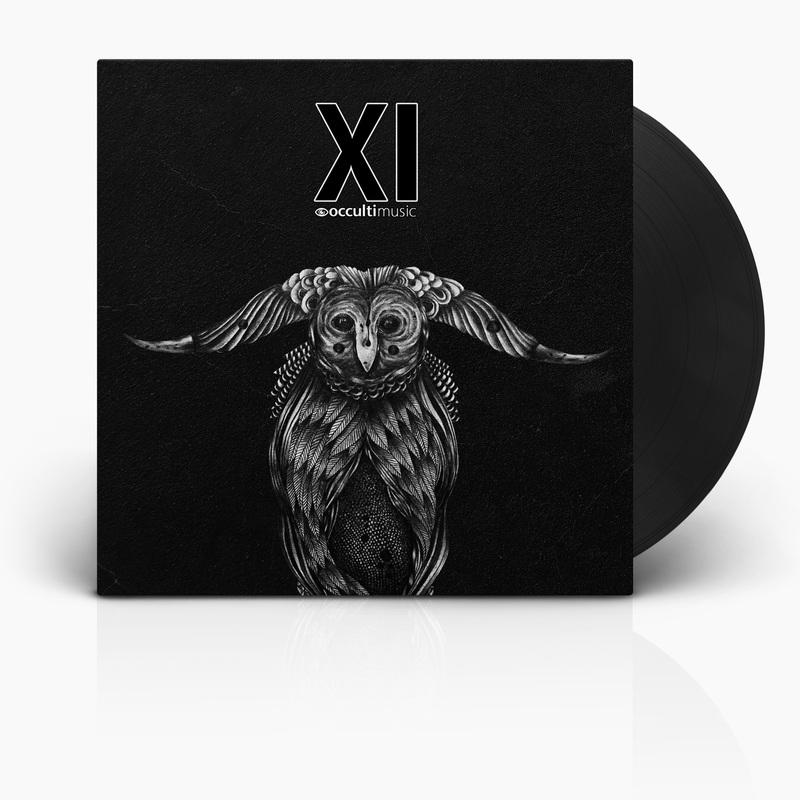 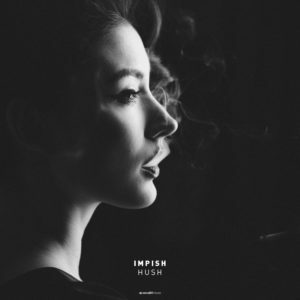 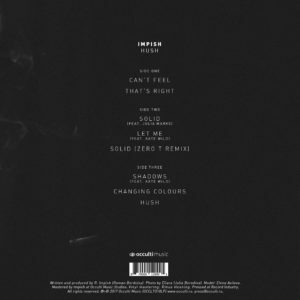 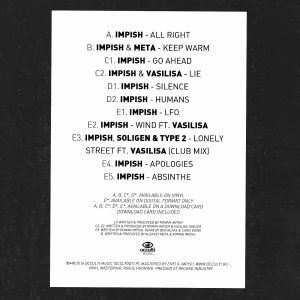 We believe the album truly showcases what the label is about: combination of deep but musical sounds. Available on 12" vinyl, CD and digital formats. 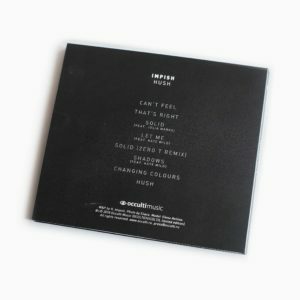 Including download code: full album (WAV & MP3). The album is also available on the CD.